Alucraft - Boat Builders and designers. ANSA - Australian National Sportfishing Association. Bamboo Fly Rods in Australia. Boating Oz Charters & Events. Botany Bay Sport Fishing Club. MV Explorer Fishing Charters and Cruises. 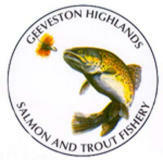 Salmon and Trout fishing N.Z. Sport 'N' Game, Fishing Charters, Cairns. Australian Department of Primary Industries and Energy. Australian Environmental Resources Information Network (ERIN). Australian Institute of Marine Science. Australian Oceanographic Data Centre (AODC). Australian Society for Fish Biology. Bureau Of Resource Sciences - Fisheries Resources. C.S.I.R.O. Division of Marine Research. C.S.I.R.O. Division of Land & Water. C.S.I.R.O. Marine Laboratories Home Page. Department of Primary Industries and Fisheries. Environment Australia - Biodiversity Group. Fisheries Department of Western Australia. Marine Crustaceans of Southern Australia. Primary Industries & Resources South Australia. Queensland Department of Primary Industries.